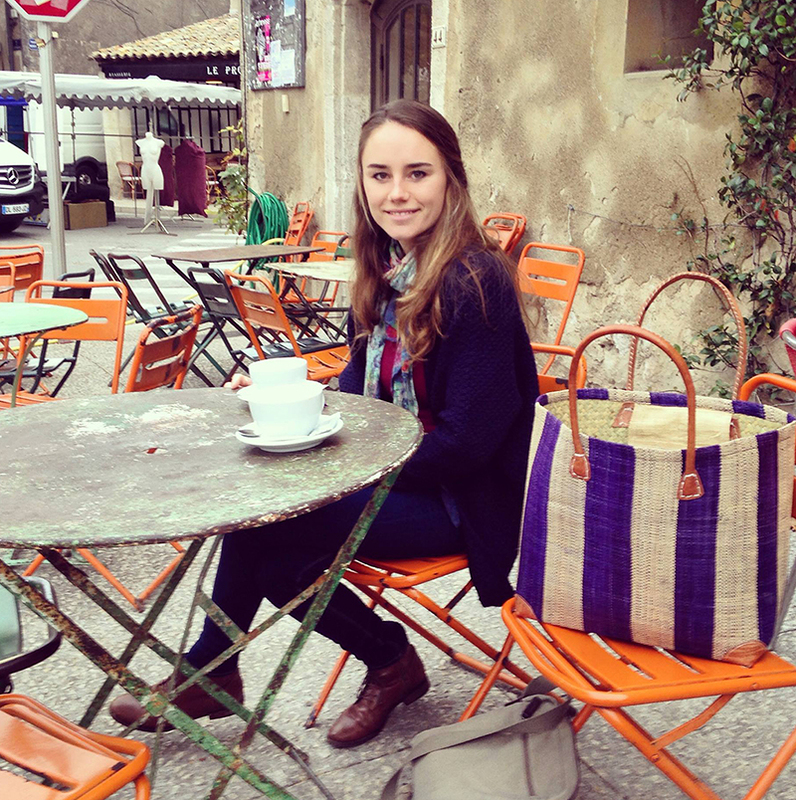 In Provence, we have some of the most beautiful markets in the world. 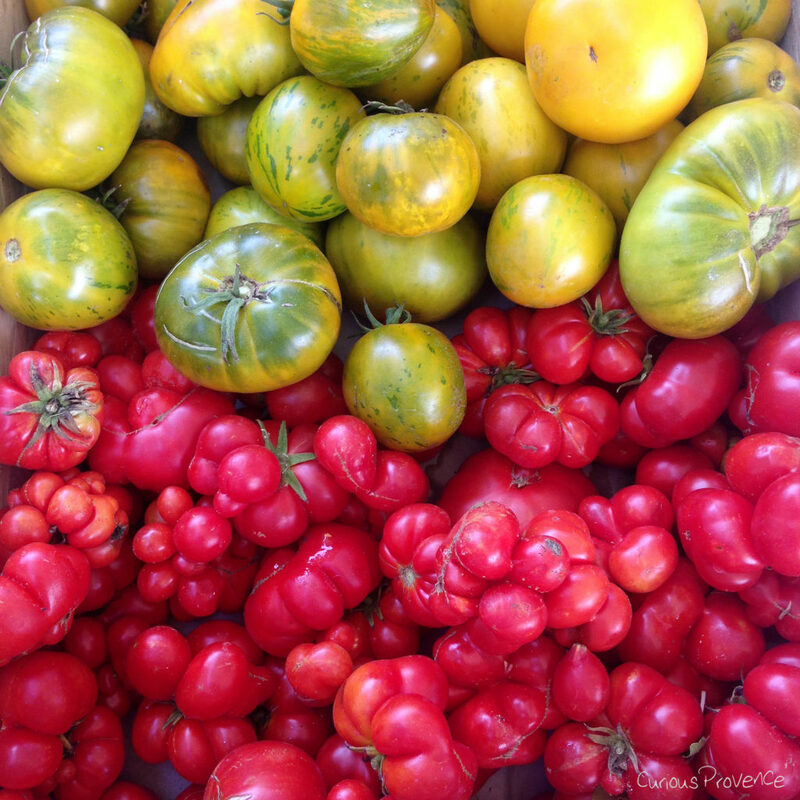 Check out my photos from various Provencal markets as well as markets in other parts of France and beyond. An enormous foodie who has sold stuffed Provencal tomatoes in the markets for 2 years, I'm well acquainted with the best products and sellers. I offer market tours all year round in the towns of Gordes, Saint Remy de Provence, Eygalieres and Isle sur la Sorgue. Do you want to taste the best Provencal ingredients and find out how they’re made? Would you like to eat breakfast at the market with the stallholders? After two years of waking up early, driving to various locations all around Provence, heaving out of the truck gas bottles, setting up wonky tables, sourcing ingredients from the other stalls, making stuffed tomatoes from scratch in blistering hot weather or freezing Mistral wind, learning the hard way all the banter and French slang that comes with such a job, and eventually becoming a seasoned market worker, I’m still in love with markets. This is an ode to Sainy Remy de Provence in December. A love note to streets lined with boutiques and twinkly lights. 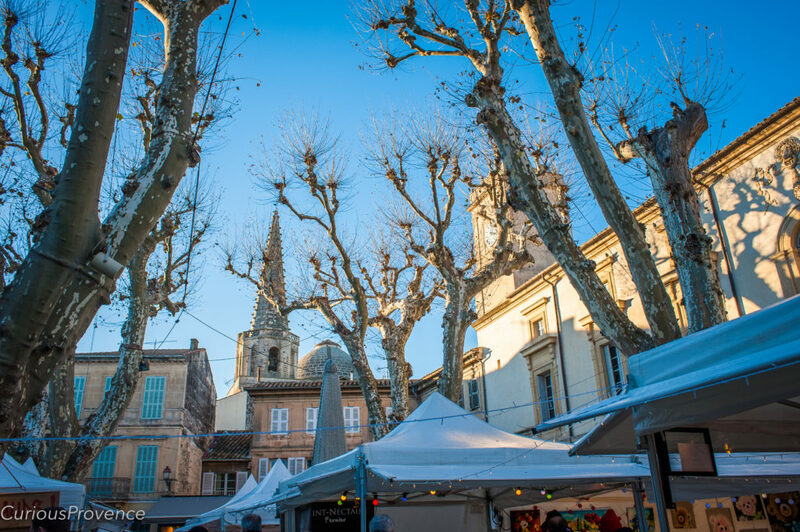 These photos were taken last week, during the weekend-long Christmas market in Saint Remy. We generally don’t have snow for Christmas, but we have nougat, confit chestnuts, foie gras and lots and lots of very fresh oysters. I recently participated in a cooking class held by Jean Marc Villard of French Cuisine cooking classes in Maubec. Jean Marc, passionate about local produce, started the class by taking us to Naturellement Paysan, the local farmers cooperative in Coustellet. See my article on the gourmet cooking class. 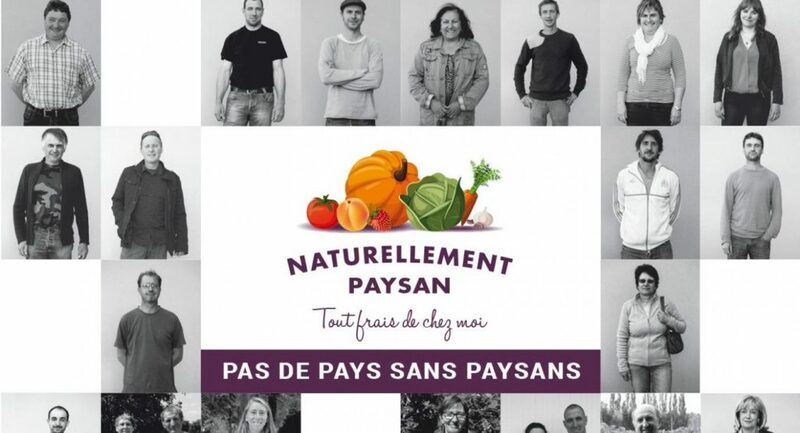 This cooperative is not only amazing if you can’t make it to your nearest Provencal market, it also stocks products that you can only buy directly from the producers such as award-winning saucisson, meats, and cheeses. You can be assured that the animals used to make these products live with dignity and even very happily! Gordes, classified as one of the most beautiful villages of France. 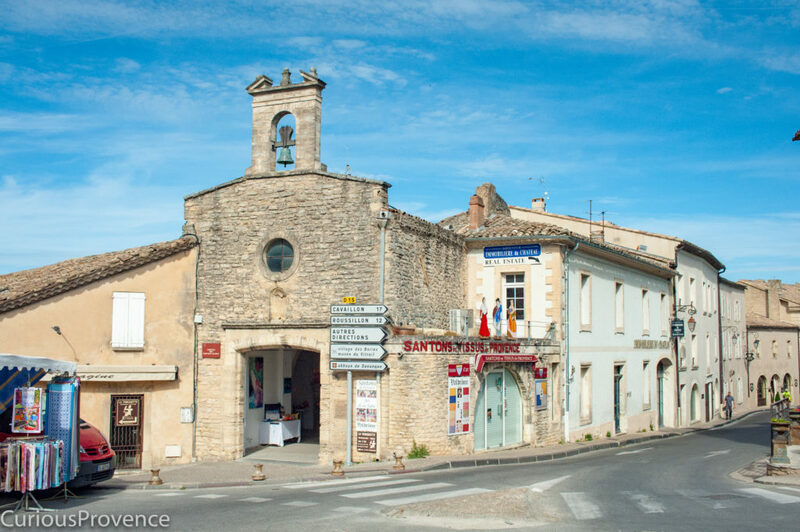 This famous hilltop town looks out over the Luberon National Park. You feel obligated to stop your car driving into the village as the village is arguably even more beautiful from the outside. The architecture here is similar to the bories village settlements where dry stone dwellings were made from rocks in farming land. You can visit some of these settlements nearby the town. The thirteenth century concathédrale Notre-Dame-du-Bourguet de Forcalquier that towers over the main market square. 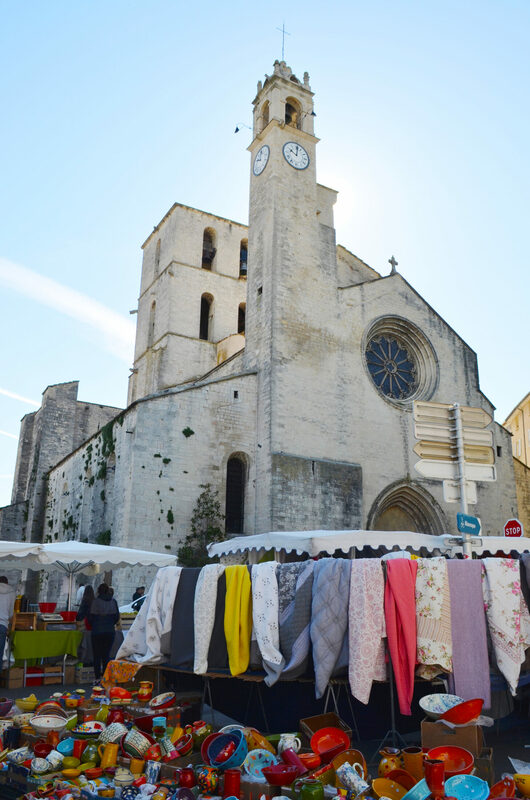 Forcalquier market is just as beautiful as many other large Provençal markets. It’s in the Alpes-de-Haute-Provence region and is located close to Valensole. If you vacation around this area, your visit will most likely include the Gorges du Verdon as well. If you’re lucky, you’ll be in this region in July where you’ll see the vast expanses of lavender fields in the Valensole plains with mountains in the distance. 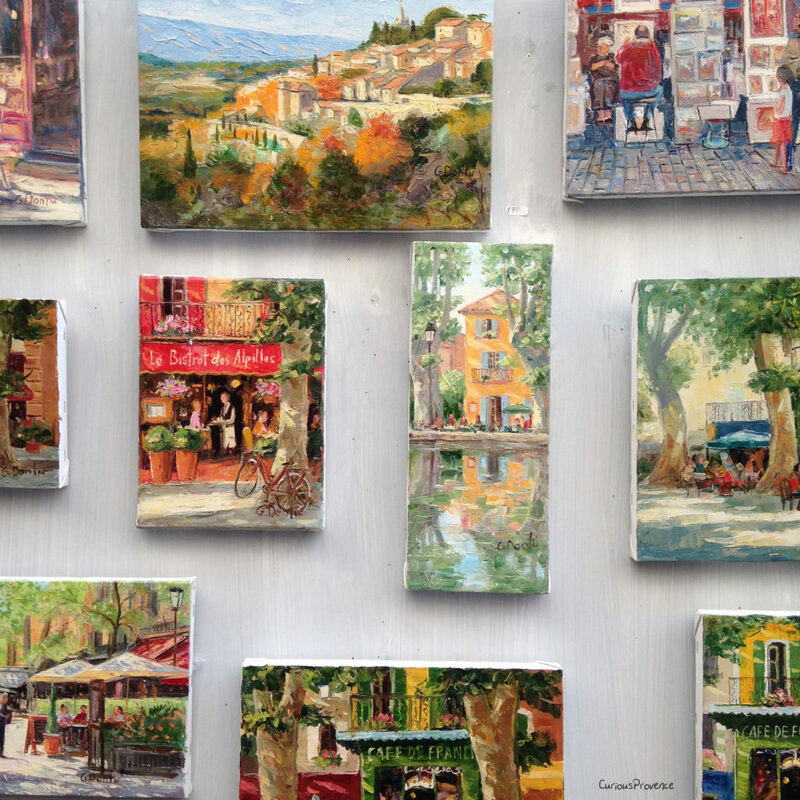 My favourite provence artist that sells in Provençal markets is undoubtedly Grigore Dontu. This handsome Moldovian is a little camera shy (the mysterious silent type); however, since I see him so often (as I wander the markets so often) we’ve come to know each other. Last year, when my mum visited Provence she wanted an oil painting as a souvenir. I brought her to provence artist Grigore. 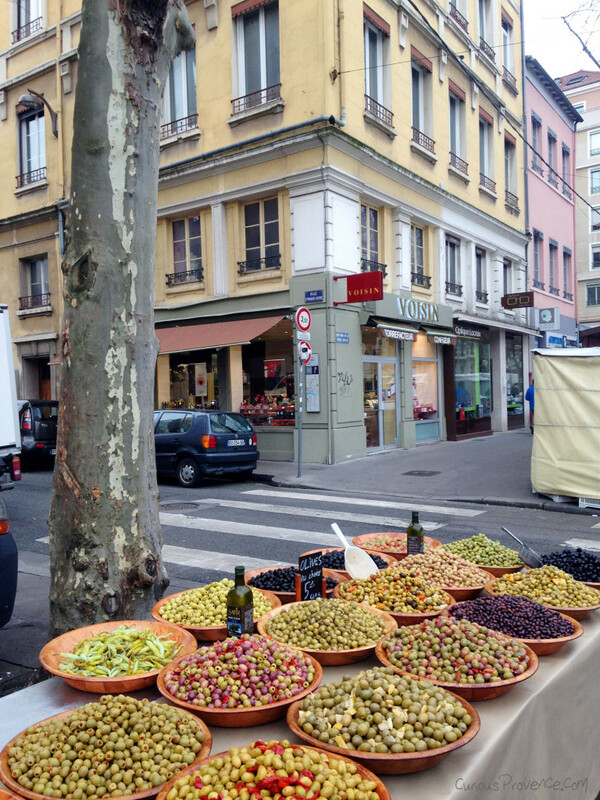 On our recent weekend trip to Lyon, despite the chilly mornings, I dragged my man to just about every market in town. It’s defiantly an obsession. 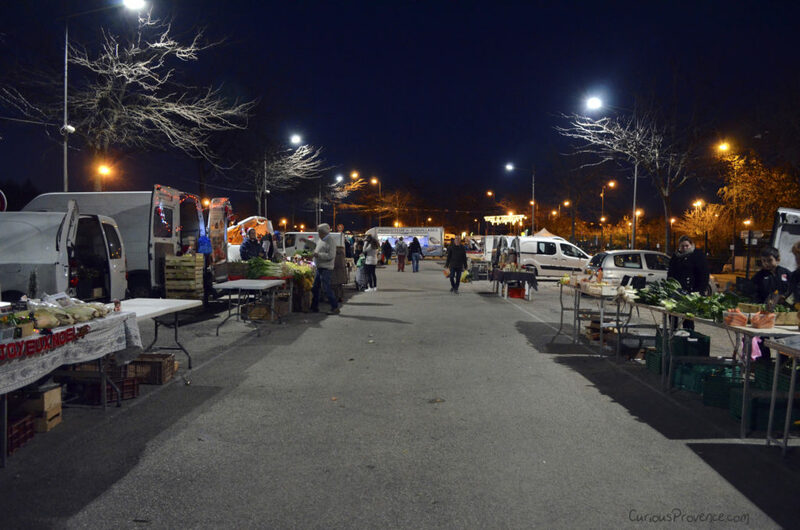 The large market on Croix Rousse blvd, located in the upper part of the city, occurs daily. I was impressed by the level of produce at this Lyonnaise market; there is a mix of typical Provençal deliciousness as well as more rustic strong cheeses and meats from the Alps. Gotta love the colourful buildings in the background. The quality of the produce is impressive here in Provence. However, all produce is not created equal. The first year I was here, I grew many of my own vegetables. I later wondered why I went through all that trouble. There are some producer’s markets where farmers sell their pickings from that very morning. How can you tell? They still have a heartbeat. Ok, not really but almost. All I can say is that after 4 years here, I can easily tell which veggies are exceedingly versus very fresh. I go to these 3 markets when I want to make sure I’m getting the best quality for the best prices. Also, may I point out that these products are cheaper as well as better quality. Many of the stands at farmer’s markets (including cheese and meat) specialise in one product. A Farmer’s market is more of a buy your veggies and leave affair, but I’ve included possible days out as well. 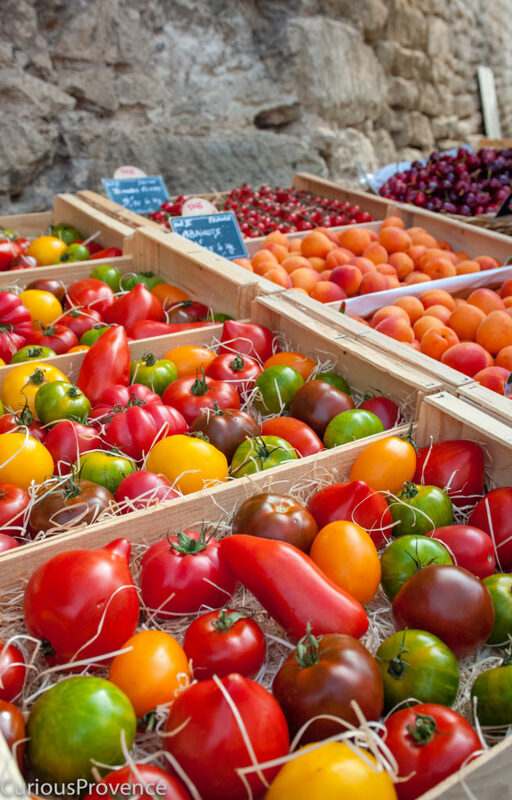 Here are 3 of the best farmer’s markets in Provence. 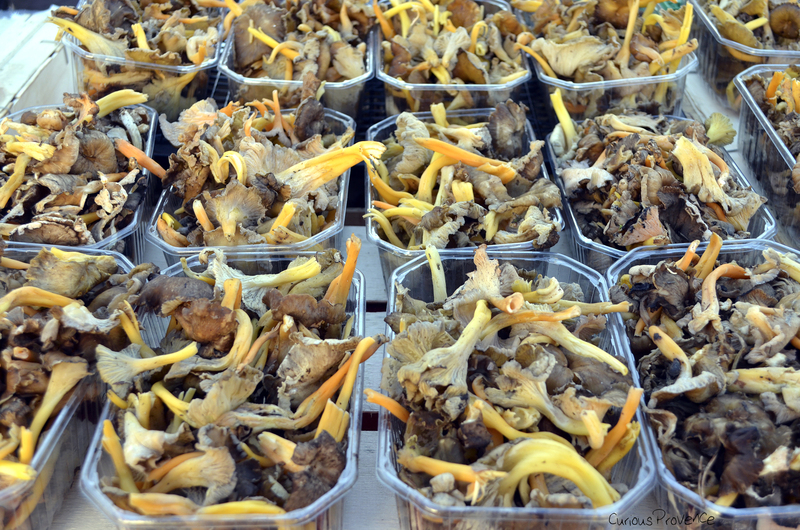 Velleron night market is one of the best producer’s markets in Southern France. It has been continually included within the 100 “marchés d’exception” in France by the Conseil National des Arts Culinaires. This is not a tourist market.